We had the largest turnout ever, with as many as sixty five participants over the two days. Saturday had two groups on large rides to two different destinations. 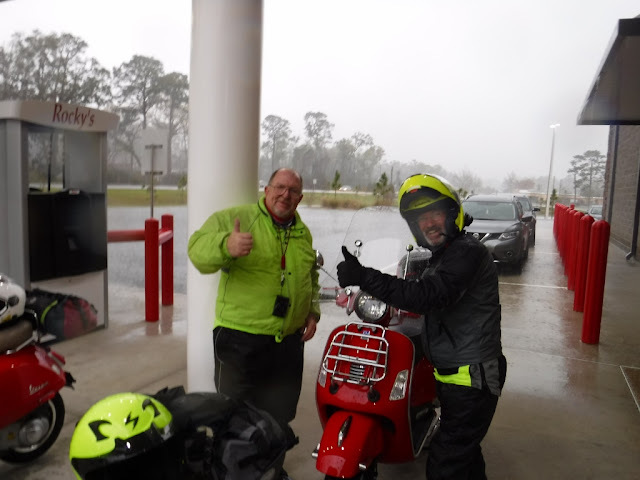 I took twenty riders through some of the better North Florida roads to Folkston, Georgia, where we dined on a tasty buffet. 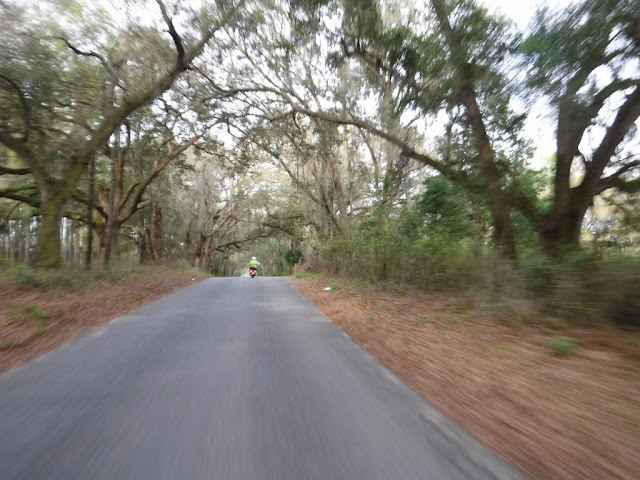 The ride home was one of my favorites, A1A through Amelia Island, the Talbot Islands and Fort George Island. Along 121, one of my favorite area roads. 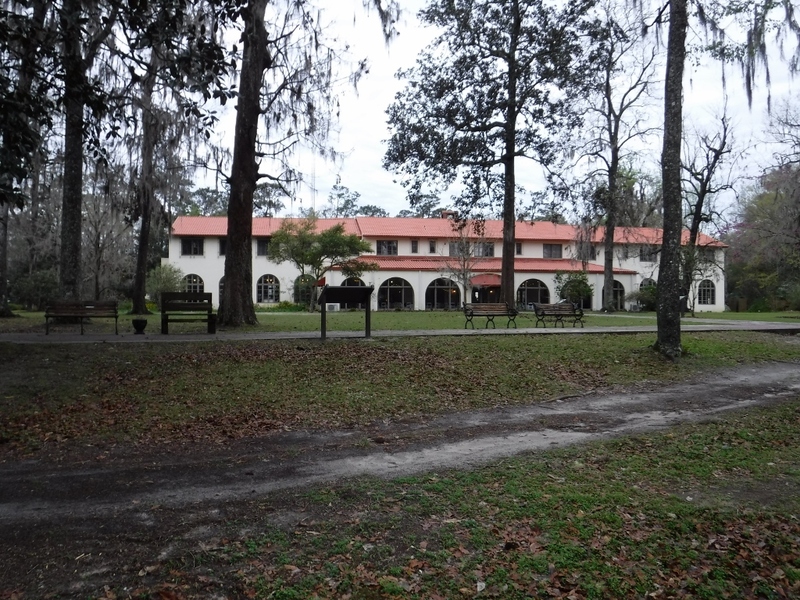 Tasty buffet at the Okeefenokee Restaurant in Folkston. 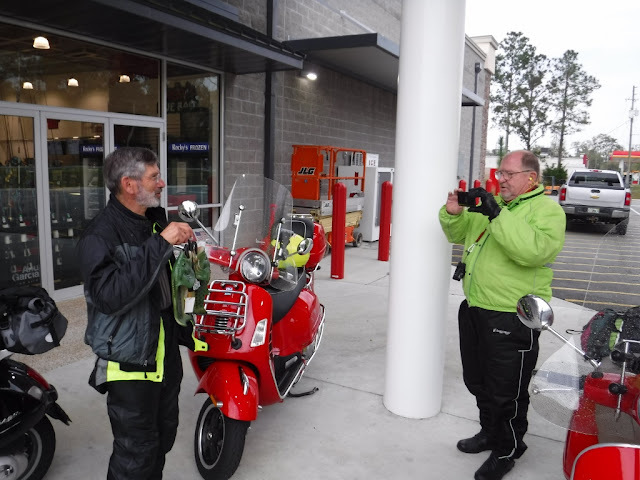 Sunday we had over fifty riders beginning at the crack of dawn at Hardees on Mayport Road. 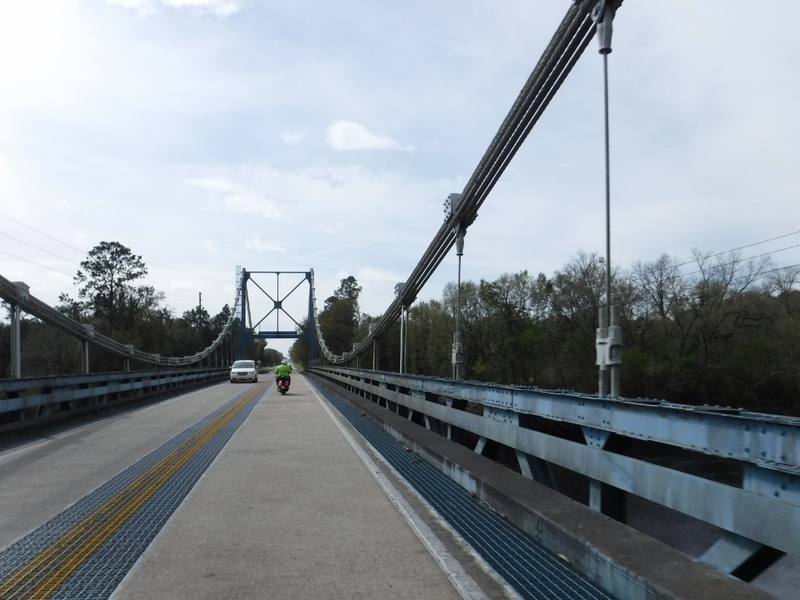 We crossed the St. Johns River on the Ferry, then the seven big bridges to lunch at the Seven Bridges Restaurant. It all went well, perfect weather and a nice group of riders. On the Mathews Bridge before sunrise heading to Mayport. At the Grand Avenue draw bridge. 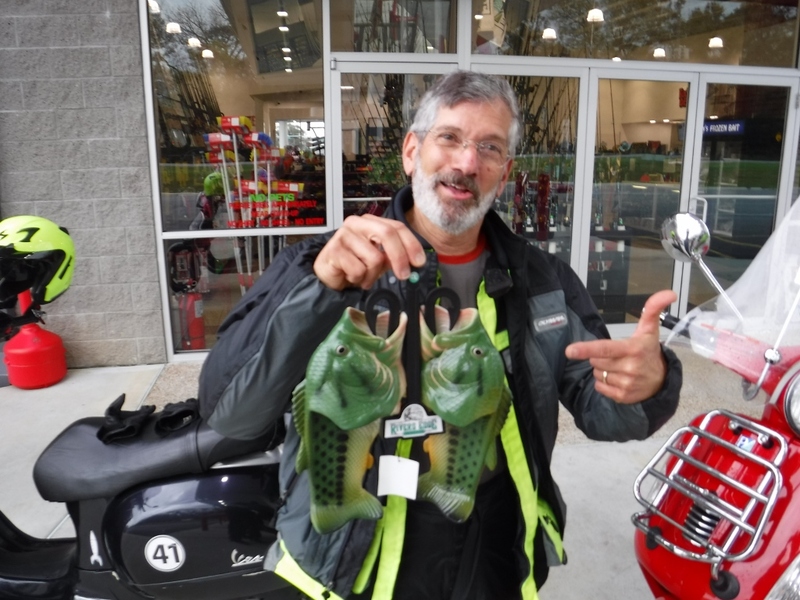 My friend Michael Beattie, aka Conchscooter on his blog and postings in Battle Scooters on ADV Riders, was in a terrible accident six and a half months ago. 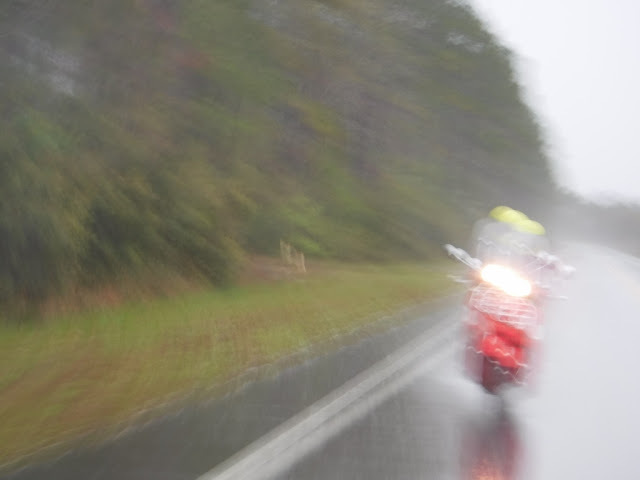 He was on his scooter riding in Cudjoe Key, less than a mile from his house, when an inattentive driver crossed his path. It caused great damage to his legs and pelvis among other things. He easily could have died. Michael was in intensive care inside a hospital in Miami for over a week. Then several more weeks there until they moved him to a rehab hospital. He returned to Key West where his fellow workers in the Key West Police Department found a handicapped accessible residence. 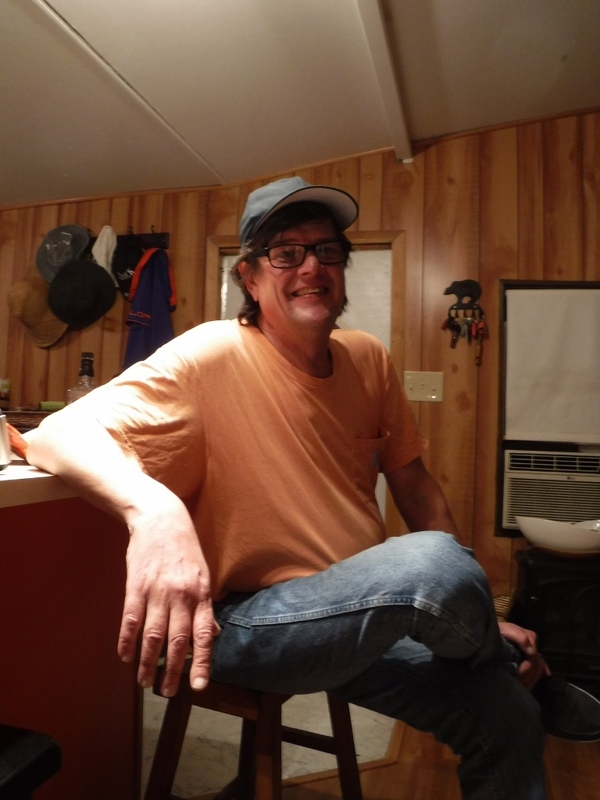 Work followed and he, his wife Layne and their beloved dog Rusty moved back home to Cudjoe Key a couple of months ago. My new friend Gregg mentioned to me at an impromptu meeting at 3 Bananas in Crescent City that he would like to ride to the Keys to see Michael. That was a couple of months ago but we finally did it this past weekend. 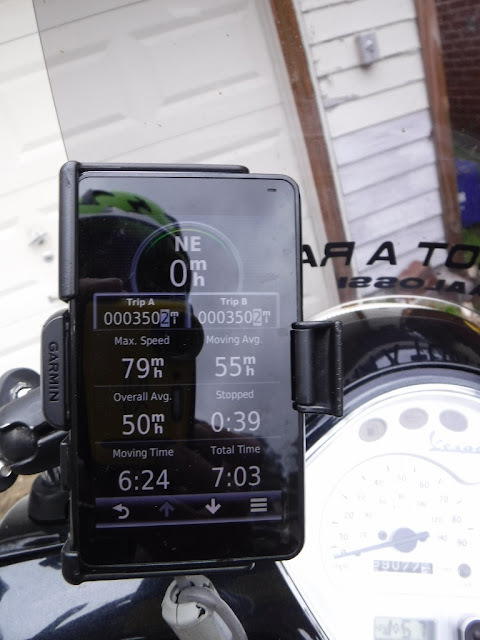 I got up early Friday morning, mounted Max, my new Yamaha Xmax and headed south on I-95. 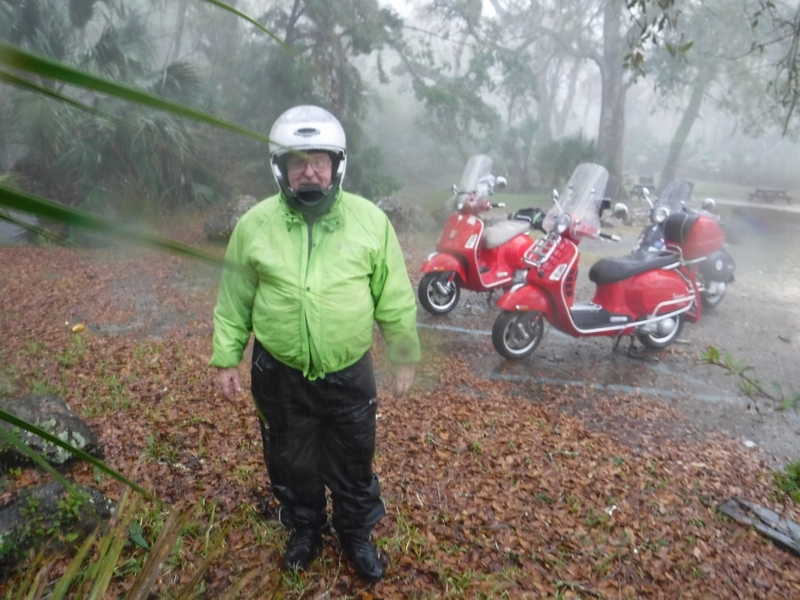 I met up with Gregg in Osteen where we embarked on our long ride down the middle of the state to the Keys. It was an uneventful, but long ride. 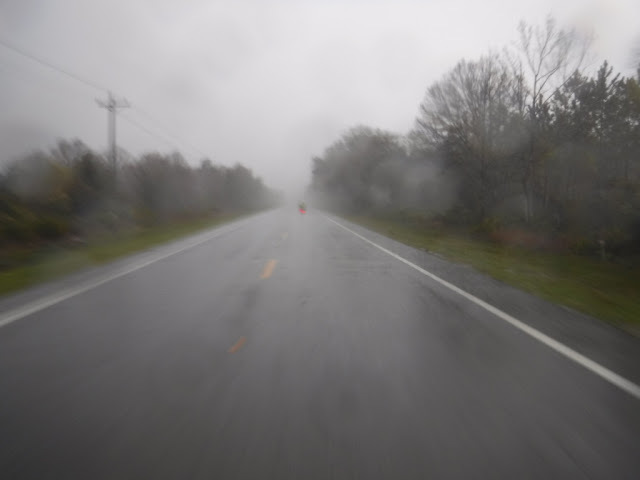 We encountered some rain as we ran along the east side of Lake Okeechobee and found traffic and slow going in Homestead and the upper Keys. But after 500 miles of riding, we arrived to find Michael and Layne waiting for us with big beers and tasty snacks. Also many smiles and friendships were both started and renewed. The highlight was that Michael had not been on a scooter since the accident. He suggested we dine at the Square Grouper Restaurant, very close to his house and across the street from the scene of the accident. 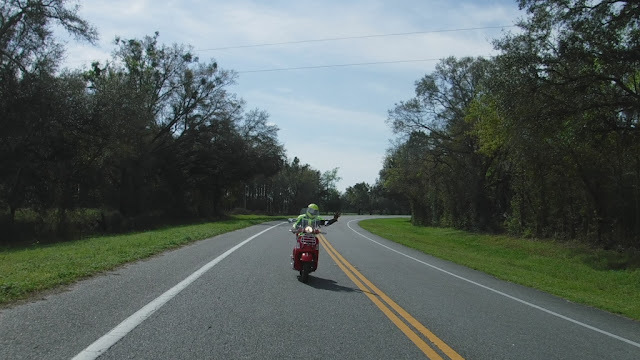 He had spoken with Layne about riding and she reluctantly agreed to let him ride her Vespa. At first it wouldn't start. RATS! we thought and were about to give in when he kept trying and it started. Big smiles. He got on and headed out. Gregg and I followed and I got some great photos of the happy man. Michael heading out on that first ride since the accident. Dinner was great. Michael was on the night shift at work and had to leave after dinner. Gregg and I checked into our hotel, the Sugarloaf Lodge, a classic Mid Century Modern Motel, very original with the same furniture that was installed 50 years ago. Gregg and I got up early, leaving the hotel at 6:45 to meet a car sleeping Michael in the parking lot of the police station. We then got coffee and a breakfast sandwich in town. The coffee was the best ever. That was followed by a riding tour of the hot spots in town, mile marker 0 and the buoy marking the southernmost point in the US (not counting Hawaii). A stop at the beach was followed by us parting and Gregg and me riding home. Almost 1100 miles in two days for me. Almost as many for Gregg. Max proved to be a most capable scooter. 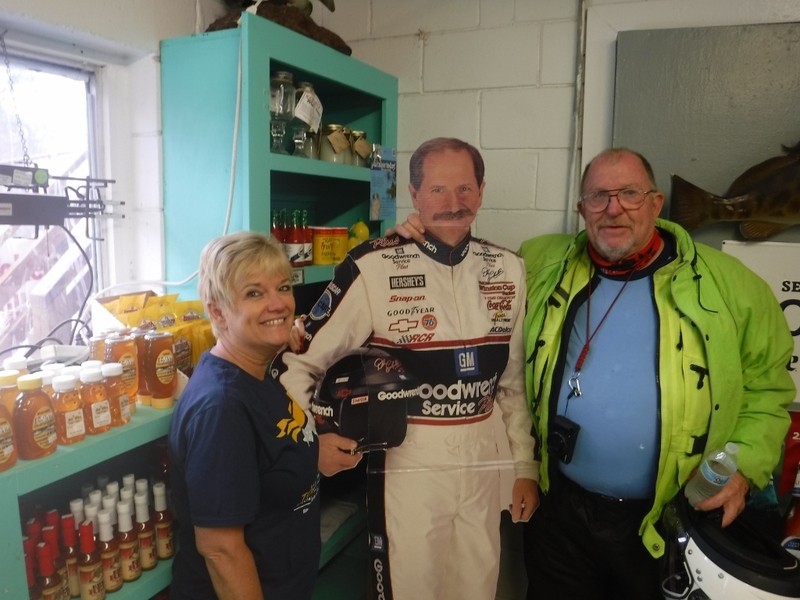 It was so nice for me to see Michael again, meet Layne and Rusty, and develop a fine friendship with Gregg, a cool fellow who happens to be a terrific rider. I am looking forward to seeing everyone again as soon as possible. It was dark on I-95 as I headed south. Gregg following through the middle of the state. Michael in the driveway of his house on Cudjoe Key. Pointing out and describing the scene of the accident. Turning around. The car hit him on US1 in this view. Apparently, Square grouper is slang for bales of marijuana. The early riding tour of Key West. Gregg carrying the best coffee we have ever drank. Cafe Con Leche from this litle walk up cafe. Michael's favorite bench at the marina. Our view from that bench. Michael is now walking very well for a man with so many injuries. I am so pleased that he is finally getting back to normal. Max at the Southernmost point. 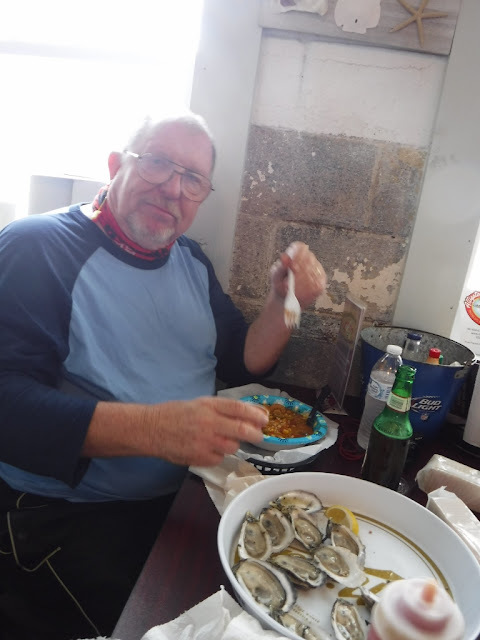 This past weekend had me joining Ken in Newberry Thursday night to begin the years first Oyster Tour. Going on at the same time, my friend Michael in the Florida Keys had been in a terrible accident six months ago. 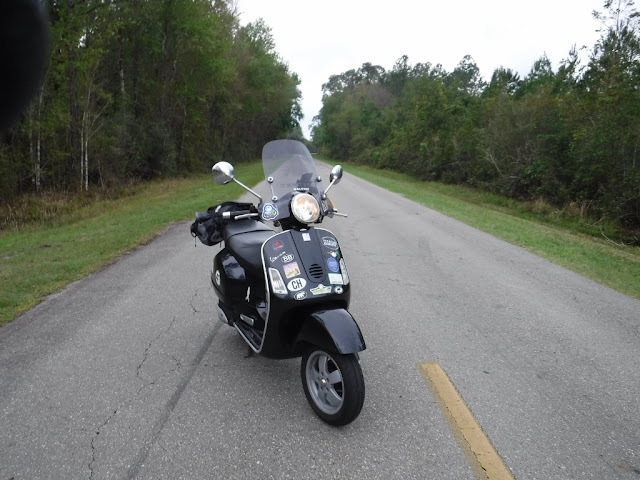 His friend Eric had found a Burgman 200 in Houston, had Michael buy it, then volunteered to ride it from Houston to Michael's house in Cudjoe Key. He was passing nearby that night so Ken and I put him up for the night and treated him to Newberry's best Mexican food. 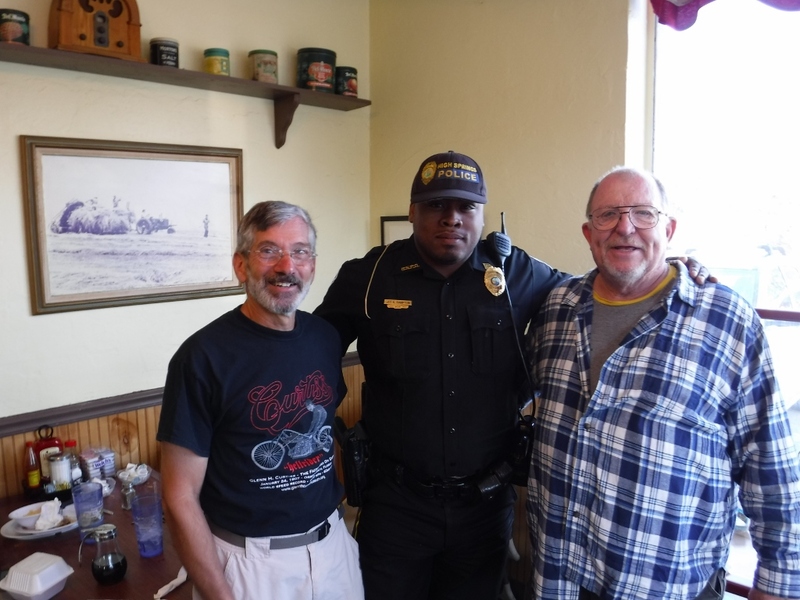 The next morning we saw Eric off and we headed to High Springs to meet up with Jim at Alice's Restaurant, where we saw two police officers dining next to us. Ken likes to meet and talk to everyone he finds interesting, so he struck up a conversation with them. 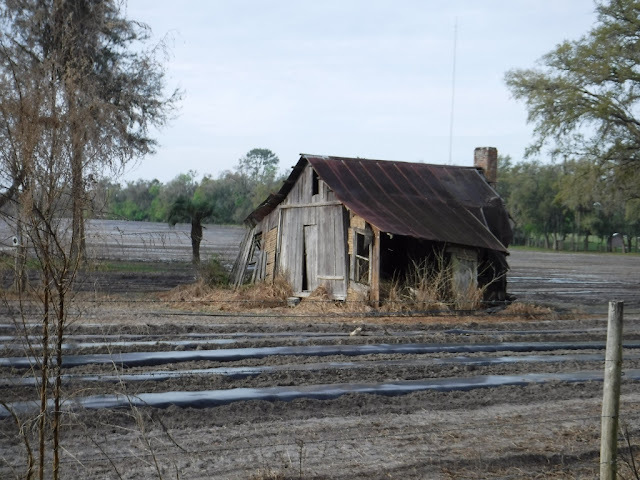 Our next destination was to Greenville, Florida to see the birthplace of Ray Charles, but mother nature interrupted that and we high tailed it to our hotel in Wakulla Springs, skipping Ray, or at least putting him off until we pass that way again. 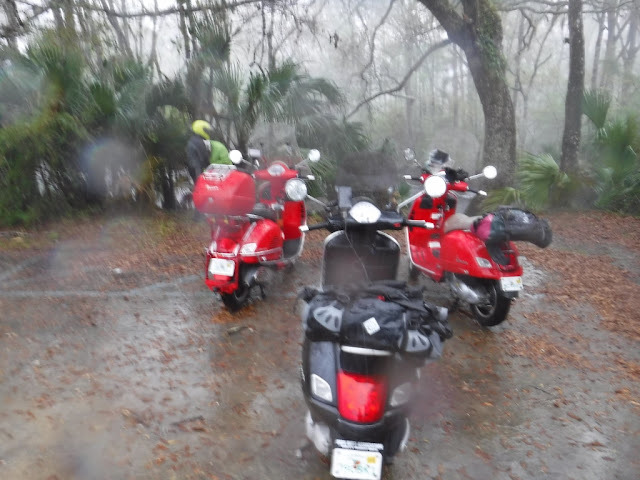 We were rewarded with a big storm, forcing us off the road for a brief time, then we arrived at the Ed Ball Lodge soaking wet. 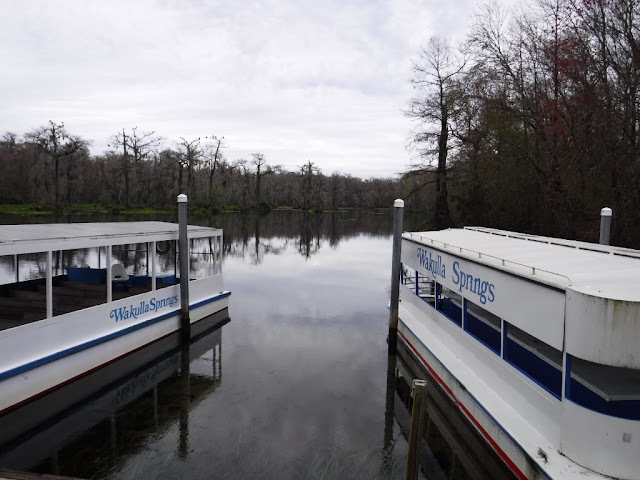 Wakulla Spring is the beginning of the Wakulla river. It pops out from the ground in a forest and flows to the Gulf of Mexico. It used to be crystal clear but is now a bit cloudy due in part to the massive growth of the state. The park still has glass bottom boats. The area was used in the filming of the Creature from the Black Lagoon. Saturday had us riding the short distance from Wakulla to Carrabelle to check into the Moorings. There was rain on the way there too, but Rocky's was almost perfectly placed to let us sit out the worst of it. 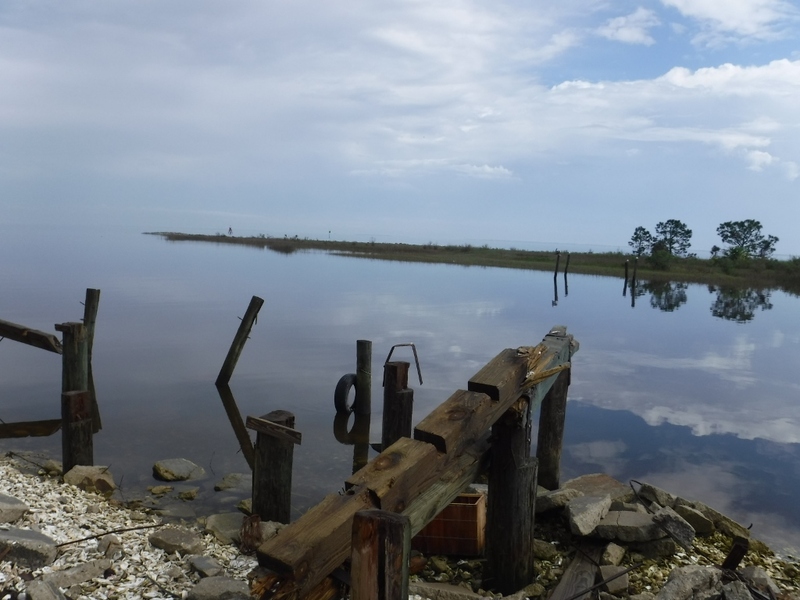 After checking in, we had snacks and headed to Eastpoint for oysters, then Apalachicola for ice cream. 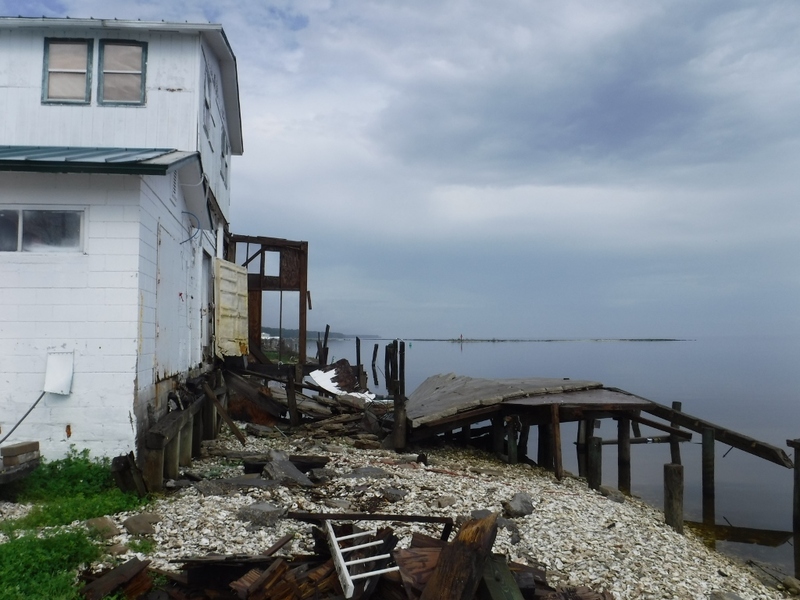 The town is recovering but some businesses are still closed, more than four months after Hurricane Michael destroyed much of the area. 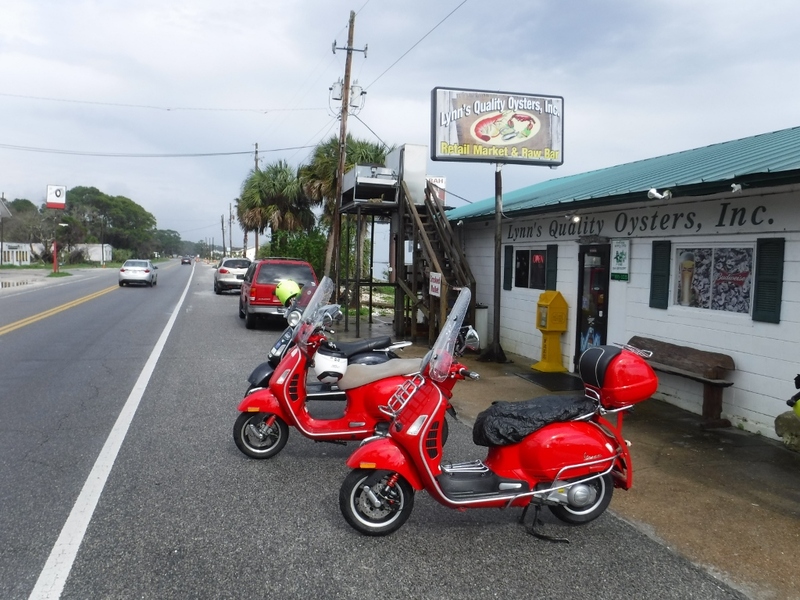 Dinner at the Fisherman's Wife in Carrabelle, in for the night, up and we all headed home at 8:30 on Sunday. Abut half the 250 mile ride was in a misty rain, then it cleared for me to find my way back to Jacksonville. Eric, the generous scooter delivery guy. Ken racing along in Newberry. Off the road through the thickest of the rain. 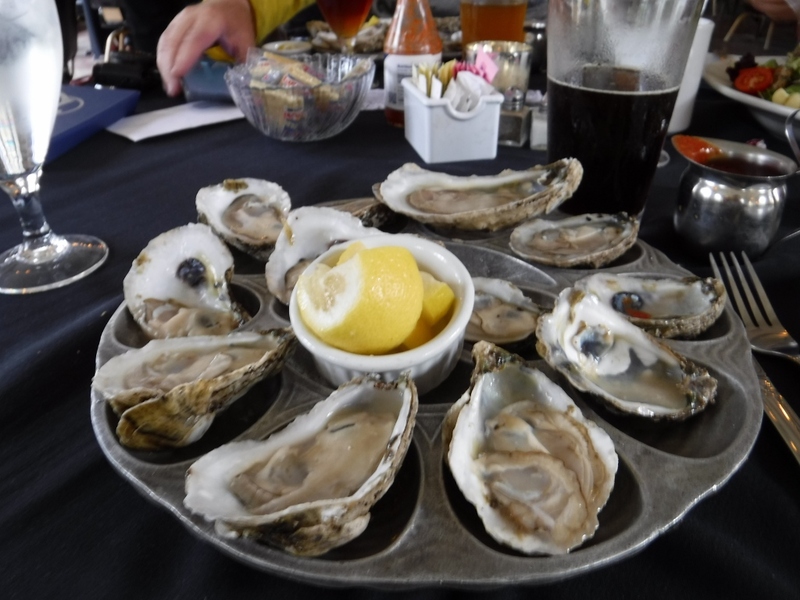 Oysters at the Lodge in Wakulla. 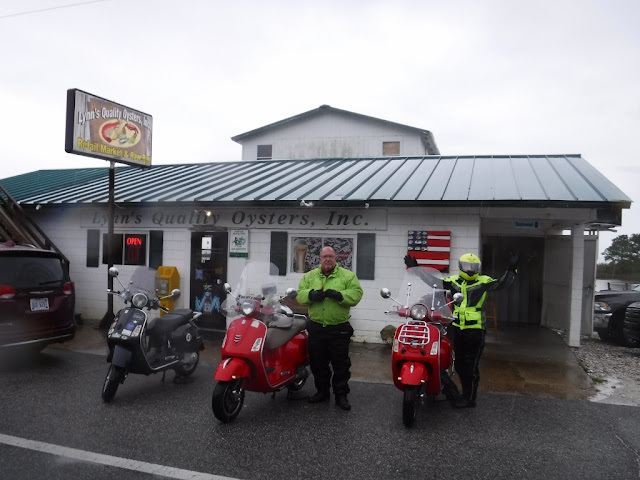 Waiting out the rain at Rocky's on Saturday. Rocket was perfect on this ride. Crossed 89,000 miles on the return. The old scooter is still quite speedy. was turned off for much of the trip.